Tonight we will continue our series with the third brick. We hope to see you there! If you're joining us for the first time ever, make sure you stop by our VIP guest area for some free treats and warm greetings from some of the family and team members here at Ignite-LA. See you then! Need directions? Get all our info by clicking here. Thanks for taking the time to listen. We will be posting our messages online weekly. Stay connected and let us know who you are and where you're listening from? Tonight we will continue our series with the second brick. We hope to see you there! 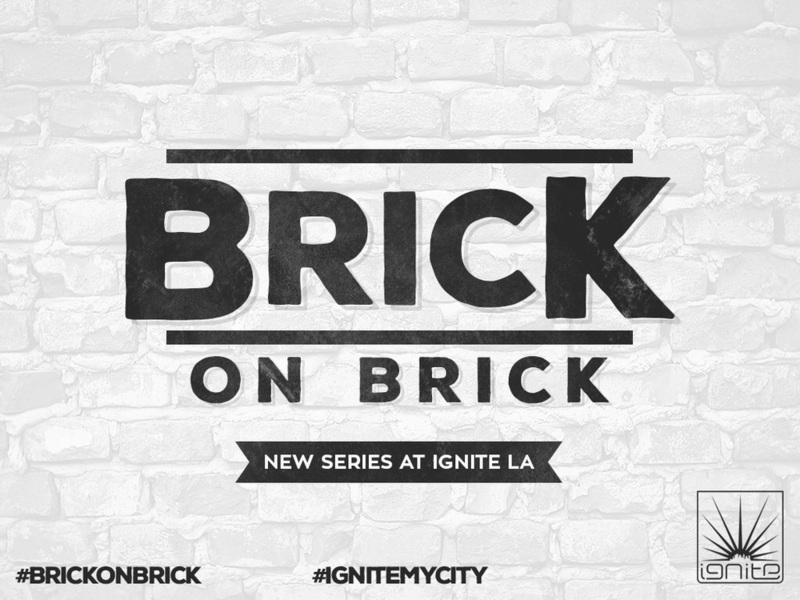 Tonight we will continue our series with the first brick. We hope to see you there! We're excited to announce our home groups starting tonight and every week. Click on the email link at the top right of the page for info and locations. Join us for a great time of study and cool fun. New series starts this Friday at Ignite Los Angeles. Hope to see you all here. Invite someone new. Let's build!!! 08.07.2015 | New Series "FOLLOW"
Join us tonight at 8:00PM for the kickoff of a brand new series titled, "Follow." Every Friday night for the next five weeks we'll be studying from a biblical perspective, what it looks like to "follow" Jesus.